This is a view from behind the elevated green of the par 4, 18th hole of Bandon Trails Course of the Bandon Dunes Golf Resort, Bandon, Oregon. The severe fairway topography is clearly apparent with the evening lighting contrast in this view. This hole returns the player to the dunes finale. The green has a false front that will return balls to the low area in front of the green for shots that are not hit to the upper portions of the green. 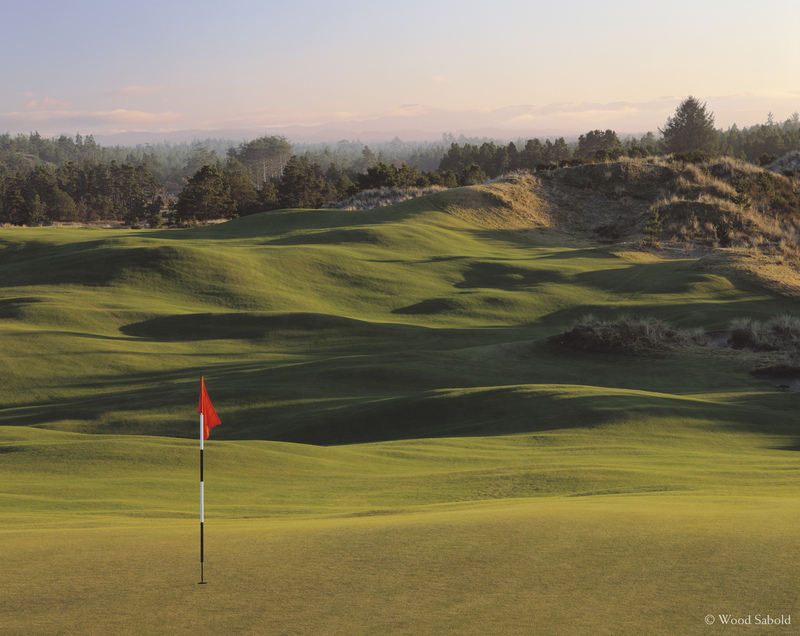 The Bandon Trails is the third course of the acclaimed Bandon Dunes Golf Resort. The course opened in 2005. Architect, Bill Coore and Ben Crenshaw.